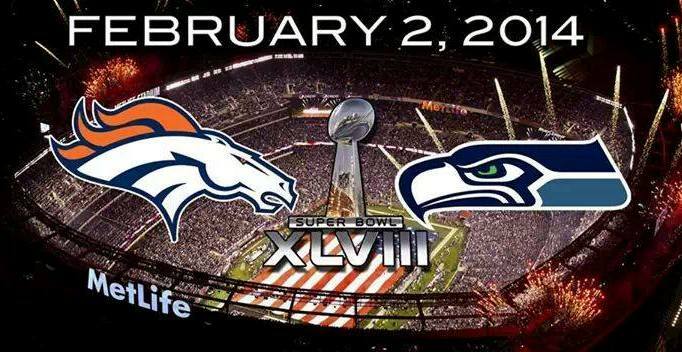 It is no surprise that the Super Bowl is this Sunday, February 2. So I thought today I would bring you some interesting Super Bowl facts. The first Super Bowl was played in 1967, and tickets sold for $6! Price increases have outpaced inflation and the face value for tickets this year range between $500 and $2,600. In the U.S., spending on Super Bowl-related merchandise, apparel, and snacks is expected to reach $12.3 billion, or an average of $68.27 per consumer! The game will be broadcast live in over 180 countries and territories and in more than 25 different languages. Brazil, China, Denmark, France, Germany, Hungary, Japan, Mexico, Russia, and the United Kingdom all will have crews on-site for the game. Super Bowl Sunday is the second-largest day for consumption of food and drink for Americans, behind Thanksgiving Day! I really enjoy the commercials, the sneak peaks have not yet disappointed – I look forward to seeing what other great ones will be highlights this year. And of course let’s not forget the food! This year in our house we narrowed our menu to four items: the classic spinach dip (my Hub’s favorite), a Black and Blue pizza (steak and blue cheesey goodness, you know how much I love pizza), veggies with an onion dip, and BBQ Pulled Pork Pepper Poppers that looked amazing when they were featured on Good Morning America. 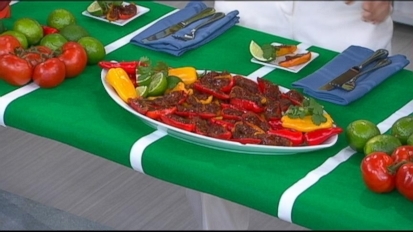 What snacks will you be preparing for the Super Bowl? Do you have a favorite commercial yet? Previous February is Lamb Lovers Month!